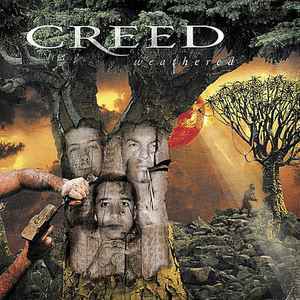 The success story of the American Creed begins in 1997 as their debut album My Own Prison. As many as four songs from the album are big hits and the cd goes more than four million copies. 1999 Human Clay successor embroiders largely on My Own Prison and delivers the hit Higher on the band itself with tight Musical. metal riffs and the passionate but somewhat swollen vocals by Scott Stapp between mainstream rock and nu-metal in. Weathered leaves little change. Although for a more modern sound is chosen by the heavier guitar sound to put down, Creed himself musical barely renewed. The success formula of My Own Prison and Human Clay also works on Weathered conclusive, surprisingly it is no longer.